The car came with BR7 and BR9 (ET I think) plugs, which according to the owner where only to start it and get it to operating temp. 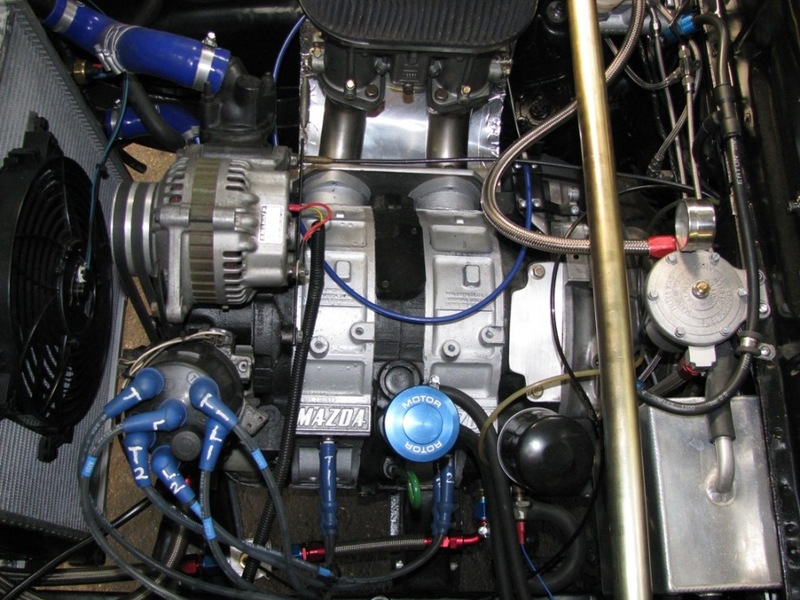 after that he would swap in B10 and B11EGV's (2 stroke plugs) for trackdriving. now I took the car for a spin with the BR7/9, and it was almost undriveable because of misfire (huge flames from the rear). gapped them to around .7mm, which slightly improved things, but not much. 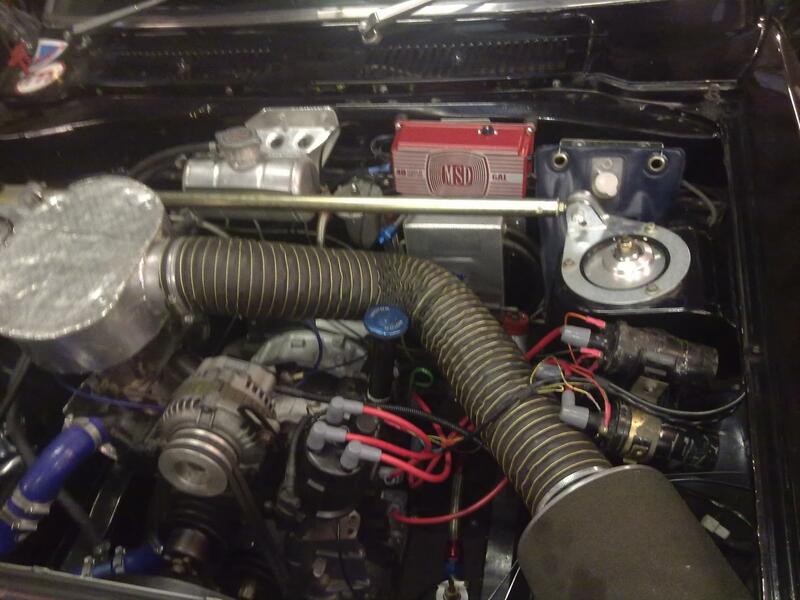 My idea was that it was because of the gapping, so with the engine nice and warm I popped in the B10/11EGV's, started fine but till I was at the end of the driveway the plugs where already fouled and it would barely drive, and make huge fireballs. that looks a lot like mine! same weber 48IDA, i spent a lot of time setting it up. idle is @900rpm, about 14:1afr. if yours is idling @2500, its maybe using the main circuit on the carb, and not the idle/transition circuit... cruise up to about 2500rpm is about 14.2-14.6, and then once you're on it, it drops into the 11's (i'm between jets, so i left it too rich instead of too lean). the car drives actually pretty close to a normal car, you'll find the PP is picky, but once you give it the fuel it wants, its pretty tame. too lean, and it won't run, too rich and it'll be the fire spitting beast everyone on the internet thinks it is. ignition is an 81-85 distributor, timing is locked. i have an MSD firing both coils at once, thru the cap, i'm running Rx8 leading plugs, which i like, and normal FD trailings. next step is to go to the race plugs for the trailing's at least. 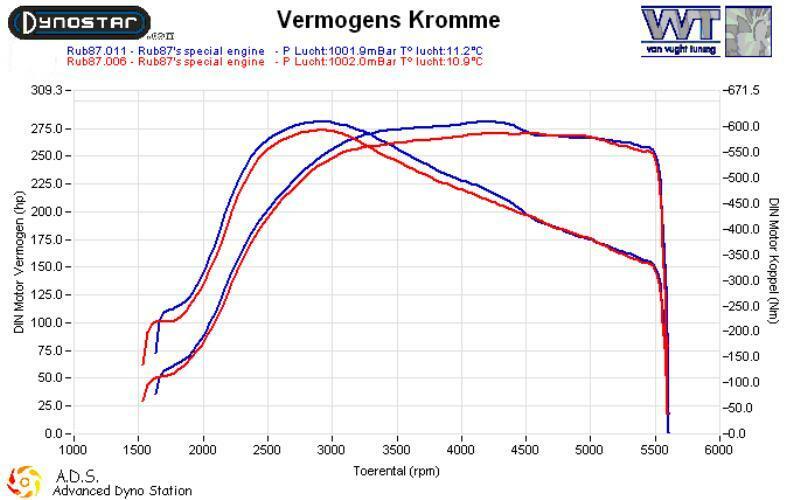 currently timing is 18BTDC, although the engine wants less timing under 2500rpm, so someday it'll get a timing curve. that should give you a bunch of stuff to look at! i'm running 1 stock ignitor to the MSD to both coils thru the cap. peejay has run the same setup for years, and it works for both of us. Very nice info, I also like the Scanned RX3 sports package document! About the plugs, you say using the RX8 plugs in the leading, so this means the 7 heat rating which are the stock rx8 leading, or the colder 9 rx8 trailing plugs?, also for the trailing you say using FD ones, but the FD also used 7 for the L and 9 for the T..
would it be dangerous to run the car WOT with relatively hot plugs (8's)? would it cause detonation or just accelerated plug deterioration? i'd skip the wastespark. the wastespark systems fire the coil the same amount of times per revolution as the stock system, so you still have the same; not enough charge time at high rpm problem. A while back I worked on something similar but I was using 2 FC coild to Direct Fire the plugs, driven by a 6AL. What I did was modify the magnetic pickups inside the dizzy so that one was 1/2" higher than the other. I ground off 2 opposite points on one reluctor and the 2 opposite ones from the other. I set a 1/4" distance between reluctors and pinned it in place. The point of it was that 1 coil fired rotor 1 and the other rotor 2. This gave spark at all 4 points and gave the coils time to recharge. Clean reving all the way past 11K. Spacing is very important because if not it will crossfire due to magnetic interference. ignition is an 81-85 distributor, timing is locked! B7ES an B8ES spark plugs. Havn't taken my p-port over 6800rpm yet, But run's good up to there, Very smooth too, Had same ignition set up on my HBP and no issues with that to. My pp idle's at 2000rpm around 14+ afr's. Injected MT4 fuel only ecu. Run leading through waste spark thru MSD 6al and trailing through distrubutor. Take the distributor cap off and look inside and make sure the rotor is not touching the cap contacts. What happens is at high rpm and also shaft bearing wear in the distributor the shaft will walk a little and the rotor will contact the cap causing missfires. I have seen it in my car but it was only on the trailing because I had my car set up for waste spark on leading. So check the cap for any marks or grooves first. Here's a link for the ignition set up. I highly recommend it. I drive two coils with one MSD. I used to drive just two standard type coils, until one caught on fire, then I went to an FC leading coil in the leading, and a single FC trailing coil on the trailing, going through the distributor, obviously. It's stacked onto the leading coil. The weird thing is, the engine runs like crap if the trailing doesn't work, but it runs just fine if the leading doesn't work. Do I see it right when doing things this way, there should be also 2 6AL's and there is no possibilty for split as you use the trailing magn pickup for one rotor and the leading pickup for the other one? Yup, that is correct, 2 6AL and no split. With this setup at 10K each coil is responsible for half the events so no issues there. I think it would work but spark may start getting weak on top end. I remember we made 225 RWHP at around 30' no split on a 13B 6 port full bridgeport. On a Holley 600 with taht setup. 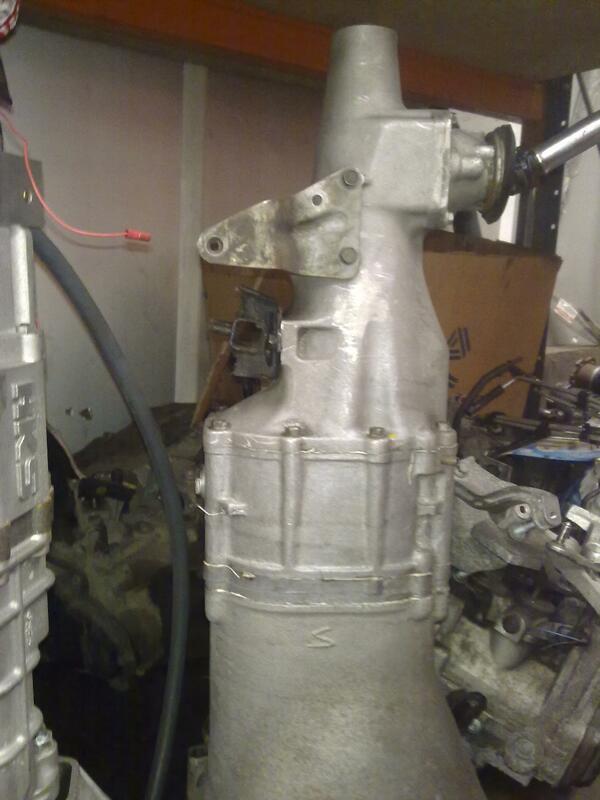 Here are some pics of a gearbox I got as a spare with the car, the owner said it was a mazdaspeed 5 speed. first is where second is on a normal gearbox and reverse is where first is. he also said it had a long 1st and 2nd and then the rest relatively close ratio. I looked a bit on the net but not much info is available. 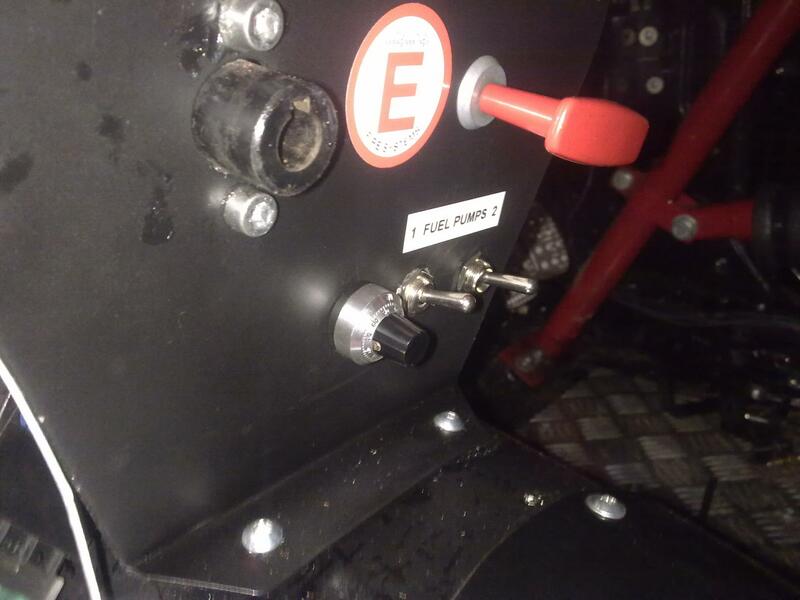 i wonder if that is the SA22 competition gearbox? After looking more closely to the cap I see indeed evidence from the rotor grinding the contacts in the cap. Will need to find a better dizzy. What also was strange was that the front igniter was connected to the trailing coil.. I checked it 5 times and still I am also confident that when I was checking the timing the trailing fired around 10 deg after the leading. nonetheless I now used the front VR sensor to trigger the 6A and the trailing is kept stock. I used to run 1st gen 13b NA trans in my FC. 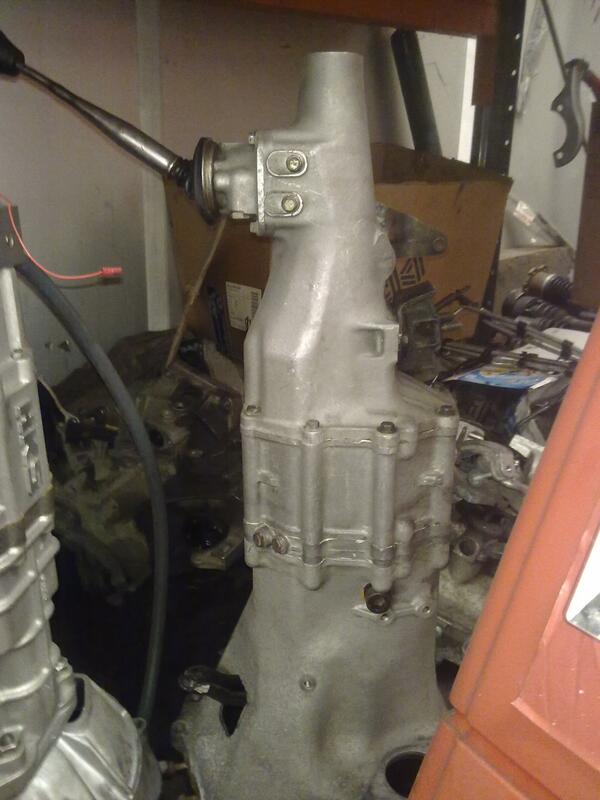 Swap the tail end of the trans from your FC trans onto the 1st gen transmission and you get shorter 1st, 2nd, 3rd. 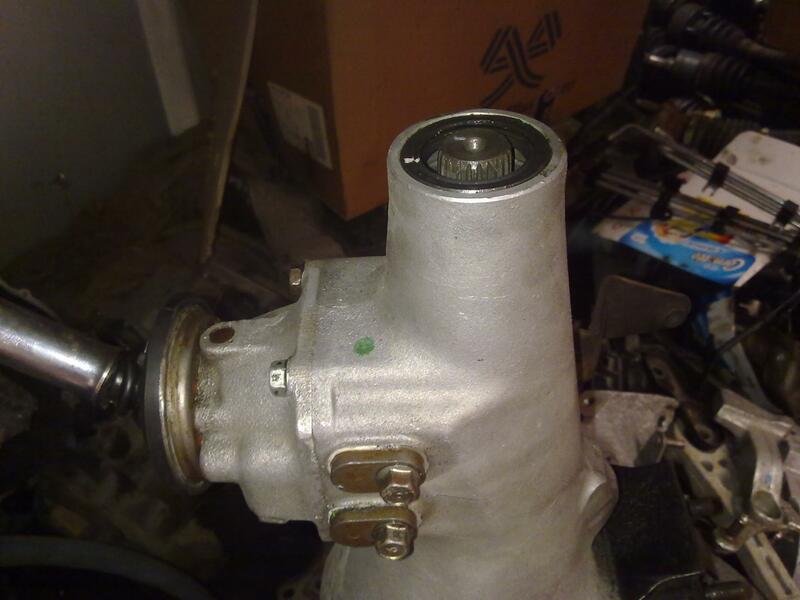 its only about 1/10th shorter than the FC NA trans but it did help with the low power the car produced. Box looks way different as in the comp parts list..
there is an Rx3 trans and an SA trans, i think you have the SA version. This is a Mazda competition 5speed close ratio gearbox. I had 4 or 5 of this and all of them had 1:1 at fifth gear. A normal problem with this gearboxes is bad syncro rings so open it and look how they are before you run it. Got it running, idles fine, didn't drive it due to a fuel leak and rain.